Clarinet player Marija Pavlović (artist in residence) is one of the most talented Croatian musicians of the newer generation in Croatia. Together with the Dubrovnik Symphony Orchestra, in her hometown of Dubrovnik, and with top musicians from around the world, she will create music during two cycles in 2018, in April and then again in September. Among artists that will come to Dubrovnik for these events are oboist Tom Owen, bassoonist Pieter Nuytten, horn player Boštjan Lipovšek, violinist Daniel Rowland, cellist Maja Bogdanović, bassist Zoran Marković, pianist Martina Filjak, cellist Monika Leskovar, and others. 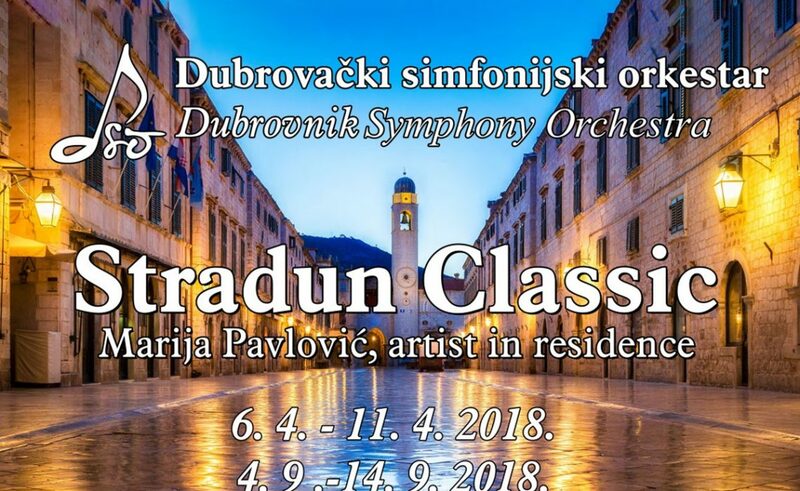 As Pavlović is a great fan of chamber music, several chamber music concerts will also be held in conjunction with the Dubrovnik Symphony Orchestra chamber group. The program can be found on the official website of the Dubrovnik Symphony Orchestra.